The university town of Oxford. They say that people go to Cambridge to study science, and Oxford to study politics. 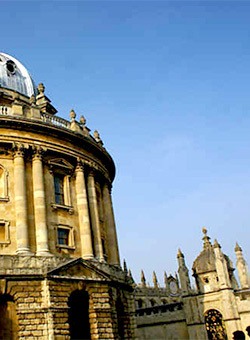 Whatever the reason, Oxford a fantastic place to conduct your Beginners Adobe Acrobat 5 Training Course training course. In this Acrobat 5 Introduction training course, you will explore the Acrobat 5.0 work environment, and practice creating and manipulating Portable Document Format (PDF) files. Some of the topics you will cover include: how to create a PDF file, how to modify a PDF file by adding navigation to it, how to add sound and movie clips to a PDF file, how to annotate (add additional comments to) a PDF file, how to create PDF forms, how to create an index of PDF documents, how to add security to PDF documents, and how to distribute PDFs.